This participatory CDA (“confidential disclosure agreement”) project invites the visitor to draw up a proper contract with the artist. 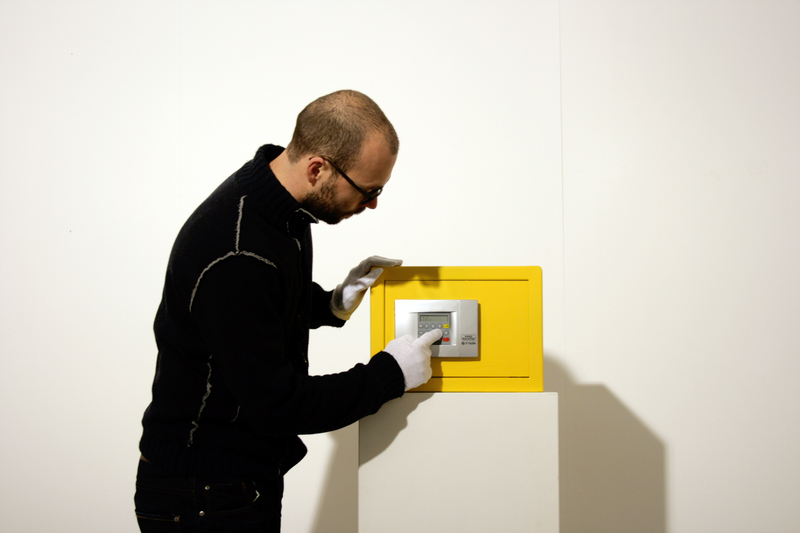 If visitors want access to the confidential information kept in the security safe on display, they will have to accept the conditions stated and a number of limitations protecting the artist’s paternity. In his most classic performative vein, the artist provides a set of coordinates inviting participants to take active part. Egger’s project is not only a reminder that an artwork only exists at the moment it is activated by someone participating in the exhibition, but makes the point that the relationship between public and artist is often contractual, commercial and essentially bound by agreements, which in this case the latter claims the right to establish for himself.